Home/News/NKN Bursts to Lead; Binance Listing Imminent? 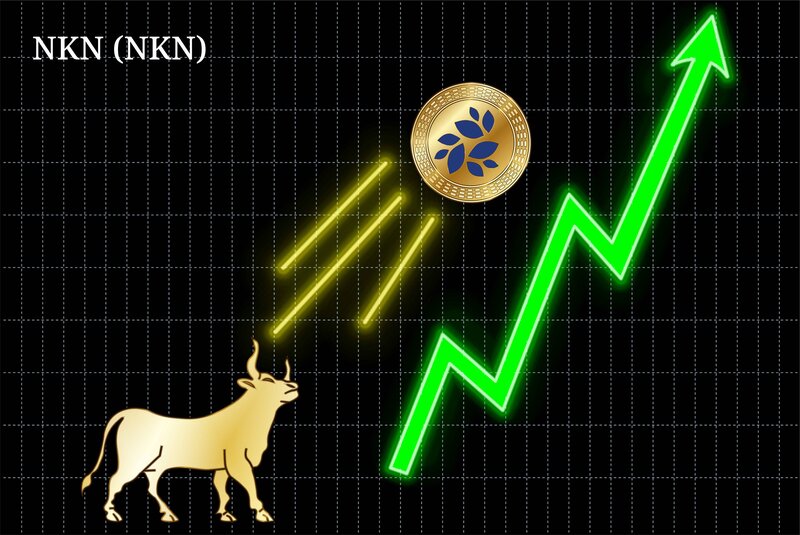 NKN Bursts to Lead; Binance Listing Imminent? Barely 24 hours have passed since top-tier cryptocurrency exchange Binance opened the voting for its eighth round of ‘Community Coin of the Month’. And, whilst anything can happen between now and 10:00 AM (UTC) next Monday – when voting closes and multipliers are calculated – the winning candidate is looking increasingly likely to be NKN (NKN). Indeed, as the below screenshot (taken: 8:57 AM, Thursday) reveals, NKN has shot out to a commanding lead, having attracted more voters (i.e., 829) than the other four candidates combined (i.e., 798). Given that Binance lists the winning project’s cryptoasset, it was unsurprising to see NKN attract massive buying volumes as soon as it became a genuine possibility they would be Binance’s community coin of the month. 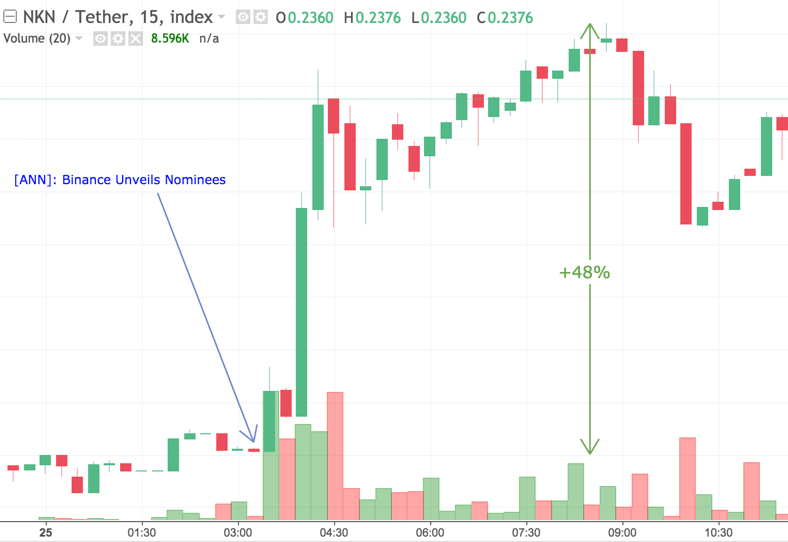 As depicted on the below chart from TradingView (via CoinCheckup), the NKN cryptocurrency – a NEP-5 token running atop the NEO (NEO) blockchain – increased by almost half its value in the hours following the opening of the five-day voting period. An abbreviation of New Kind of Network, NKN represents a blockchain-enabled connectivity protocol and ecosystem aiming to support an open, decentralized, and shared Internet. Distinguishing their blockchain-based project, NKN boasts numerous core technical innovations such as Distributed Data Transmission Network (DDTN), proof of relay (PoR), and a consensus algorithm called Majority Vote Cellular Automata (MVCA). Per June’s monthly update, NKN stated that they were working toward providing “a full-featured testnet before January 2019.” In March 2019, they believe “an early version of the NKN mainnet will be released,” with the official launch expected to arrive in June; a three-month improvement on a previously-shared roadmap.